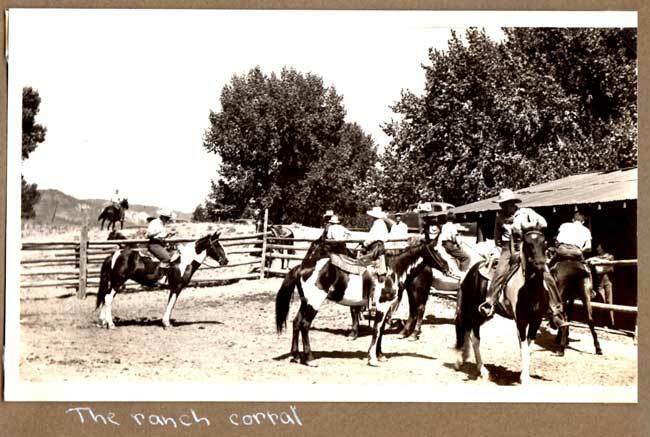 While there is so much more history about our ranch than we can share in one short page, we’ll give you as complete a rundown of the Ranch, our Family’s involvement and the Legend of Crazy Woman Canyon, as possible, below. 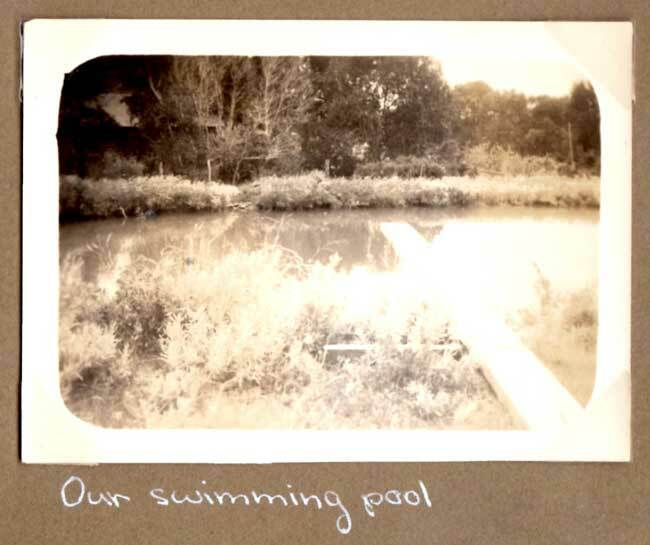 We love to share our stories and history with our guests, much of which you’ll probably hear around the supper table. 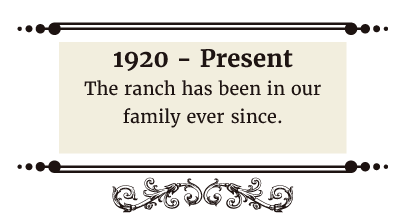 Click the corresponding links if you’d like to skip directly to Our Ranch Family History information or the Legend of Crazy Woman Canyon. Enjoy! 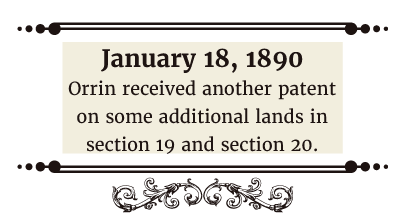 In the early days of the West, pioneers discovered the cool, cottonwood shaded stream which is now known as Crazy Woman Creek. They followed the creek to where it rushes forth from a deep canyon on the face of the Big Horns, found it good and settled there. 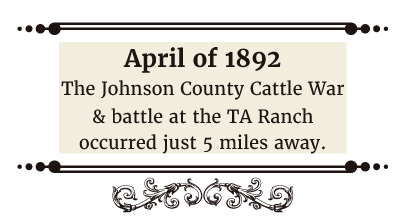 The Johnson County Cattle War and battle at the TA Ranch occurred in April of 1892. The TA is only about 5 miles from Klondike, and I am sure that you could hear the rifle shots from here. 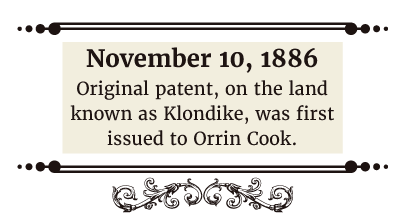 I have not heard about any of Klondike’s landowners being directly involved. Frank Canton owned land just down the road from Klondike, about 3 miles. It is alleged that he was involved, probably directly, in the murder of John Tisdale. 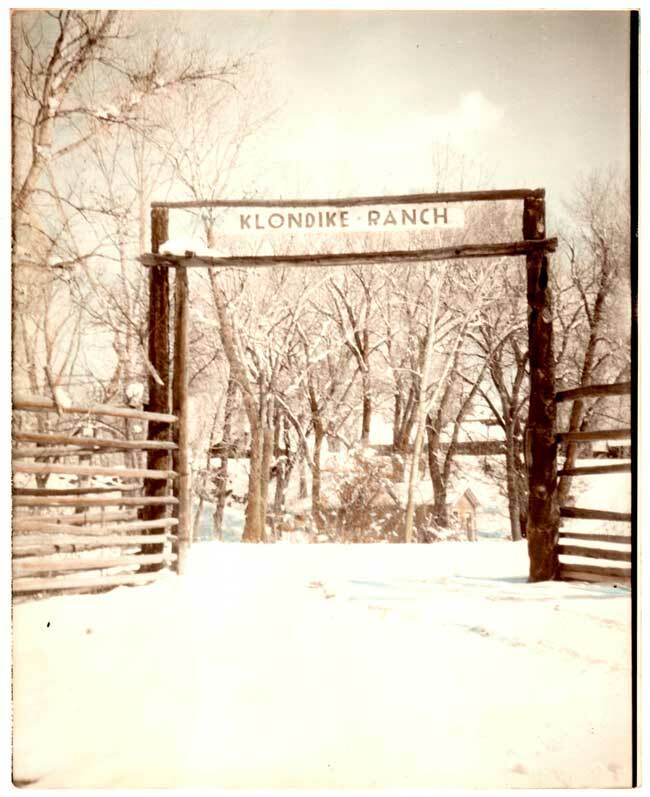 In the 1920’s, Klondike Ranch was purchased by my grandfather, and has offered guests an authentic western adventure since. 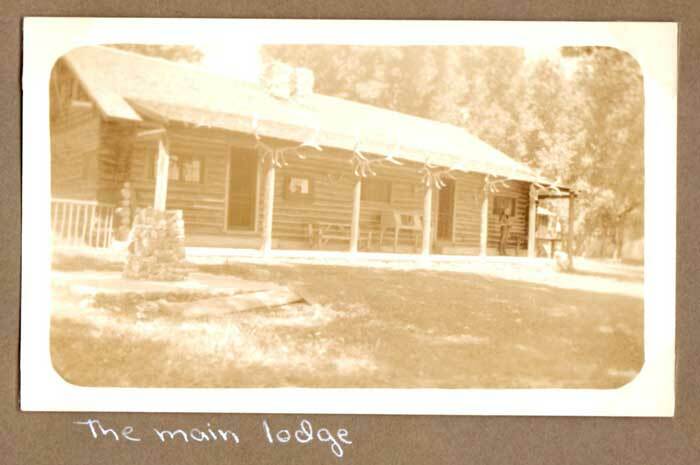 In the early years, 1930’s, Klondike accommodated up to 75 guests at a time and had over 100 horses. 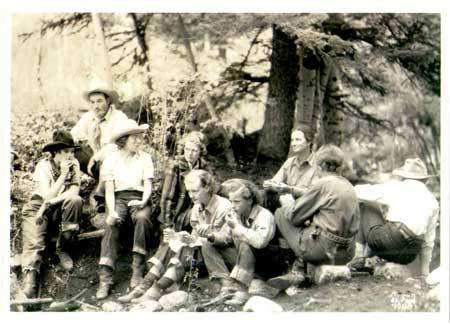 “Klondike’s Girl Camp” – One of the groups that came back for a number of years was a group of ladies from Chicago and came out as “Klondike’s Girl Camp”. There was a woman from Chicago who organized the group there and brought them out here for a number of years. They would stay for 4 or 5 weeks at a time. Traveling was quite difficult at that time so once they arrived at their destination they stayed longer stretches at a time. 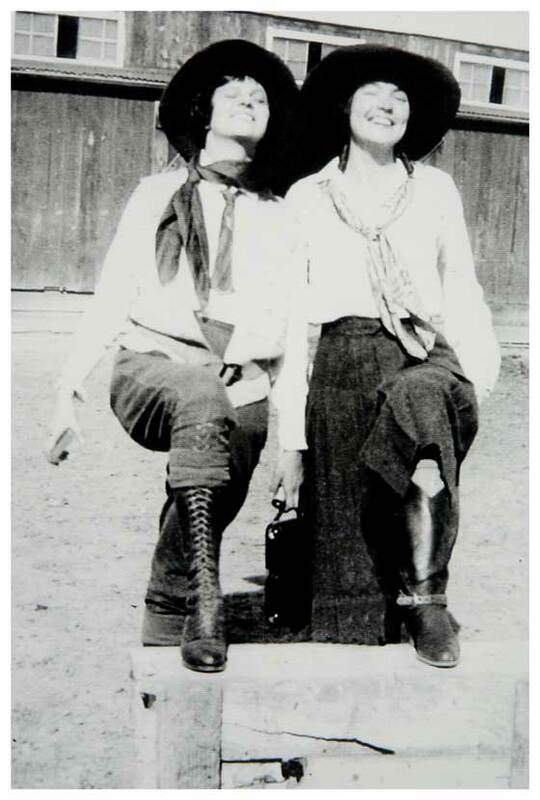 The picture to the left is of my mother, Mary, and her friend, taken sometime in the 1930’s?. (Mary is the one on the right.) 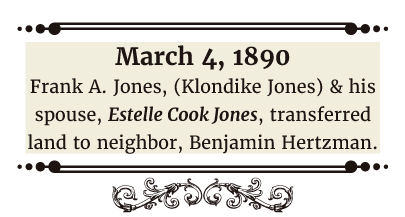 I believe she was 17 when her father, my grandfather, purchased Klondike in 1920. I think Mom and Dad were married in 1930?. At that time, my dad, Leo, was working construction around the country. After they were married they moved to New York City where dad worked on the George Washington Bridge. He worked the high steel driving rivets. The higher the work was the better he liked it. 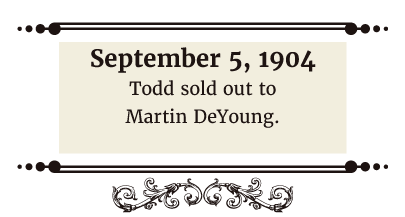 He also worked on the Boulder dam in Arizona and the dam at Alcove, Wyoming. 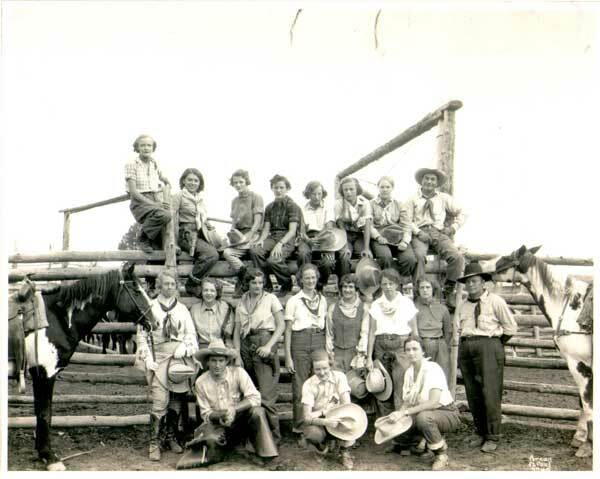 Though they had spent a lot of time between jobs working at Klondike, they returned to take over the ranch in 1943. Today, people have such limited vacation time each year that folks need to find the right place that will provide them with a safe, enjoyable environment, that will fulfill their yearlong dreams and provide them with happy memories to last until the next vacation a long year away. 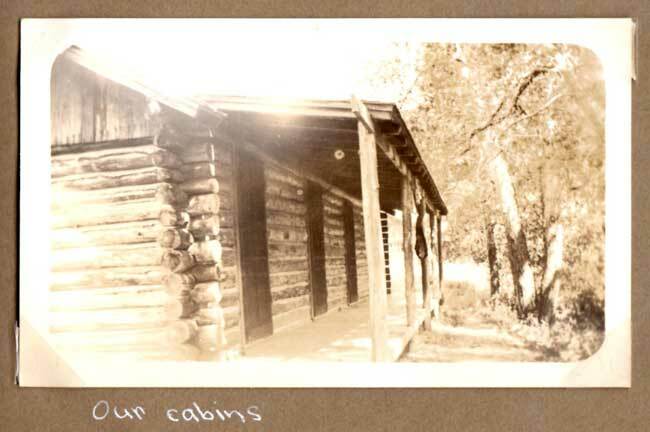 We work to ensure our guests find just this atmosphere here at present day Klondike. Our visitors are part of the family. They work with us, eat with us, and play with us. They help us move cattle to new pastures, fish some of the finest trout water in the nation and enjoy the stunning scenic vistas. 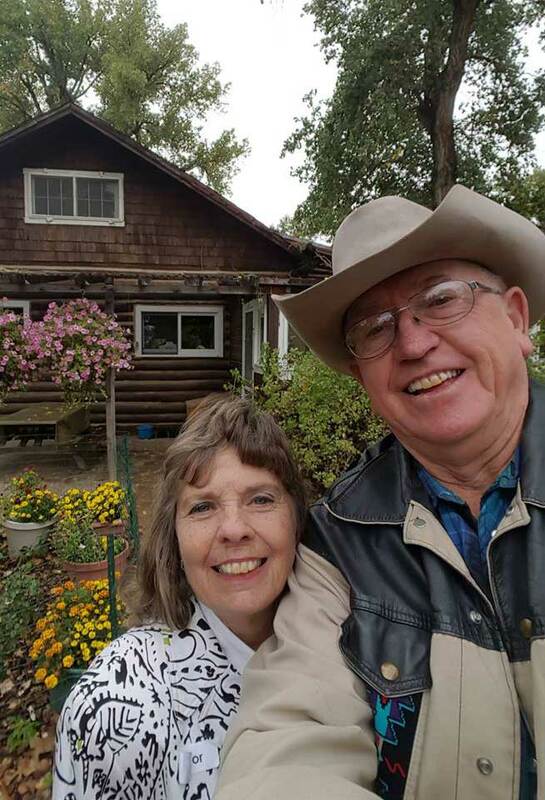 Presently, the Klondike Ranch is operated by myself, Richard, and my wife, Patty Tass and has been under our management since 1978?. 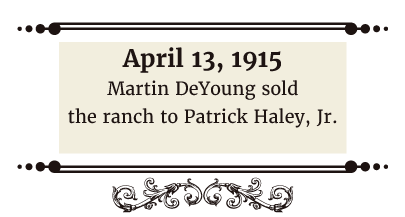 Thank you for your interest in our Ranch. 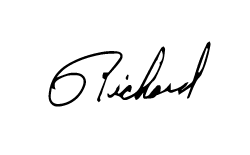 We love our heritage and our way of life and we look forward to sharing with you. 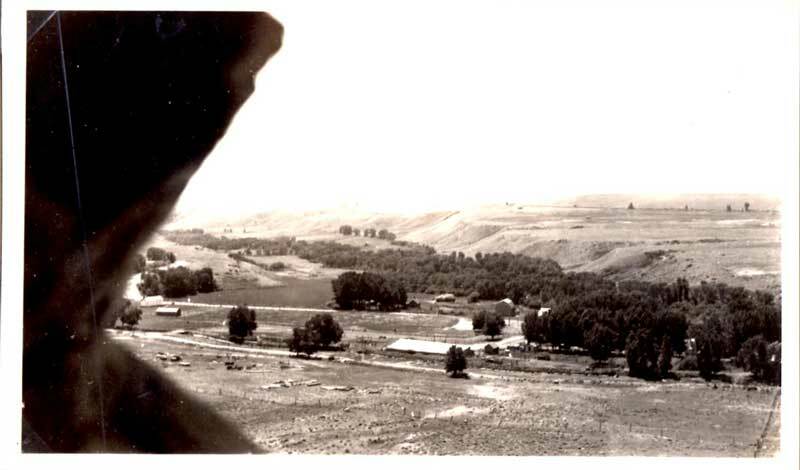 There are two accepted local legends on how the nearby canyon and creek got the name of Crazy Woman. They both start out the same, only have somewhat different endings. As the story goes, there was a white man who was trapping along the foothills of the Bighorn Mountains, became acquainted with the local Indians, and was trading with them. One year, when he returned to the area to start his trapping and trading, he brought with him his wife, a white woman. During the course of events, he had a falling out with the Indians over fur pelts, whiskey, and/or guns, and they tortured him to death. His wife witnessed this before being able to escape into the mountains. This traumatic event caused her to lose her mind. 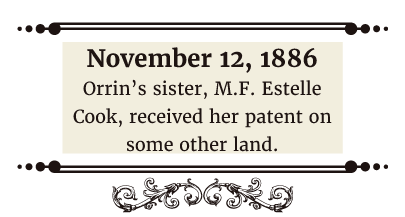 One legend has the Indians pursuing her to the rim of the canyon, where she jumped to her death to avoid being recaptured. The other legend says that, since the Indians would not bother one who was possessed by the spirit, the trappers wife roamed the vicinity of the canyon until she died of natural causes. As legends go, it could be true.